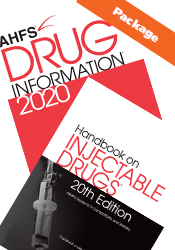 With extensive updated information on everything from treatment of hypertension to HIV drug monographs, AHFS Drug Information®, 2019 Edition is a necessary addition to your pharmacy’s resources. 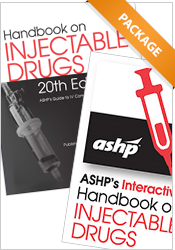 Constantly expanding, ASHP’s Handbook on Injectable Drugs, 20th Edition®, is updated with the latest information. 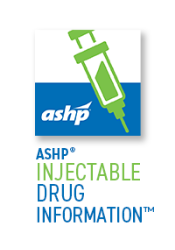 With its 40-year track record for covering vast amounts of data with precise, accurate detail, nothing else comes close for compatibility, stability, storage, and preparation of parenteral drugs.